we are about a day away from the comissioning of the elevator at the hotel. Ohh the joy. It's been the most impossible task. I'll post a few pictures of the interim progress, but seriously it was damn hard putting a new elevator into the middle of a 100 year old building. The Ukraine tourst board has decided to promote a new and interesting destination. It's a little far from Sydney, but it's somewhere I can almost guarantee your friends have not been to: Chernobyl. Yes that famous nuclear reactor meltdown is now going to be open for tourists. All i can say is I think you'll get 'glowing' reviews. (sorry I had to make the pun). On second thoughts. Why not just stay in sydney. Oprah seems to like it. 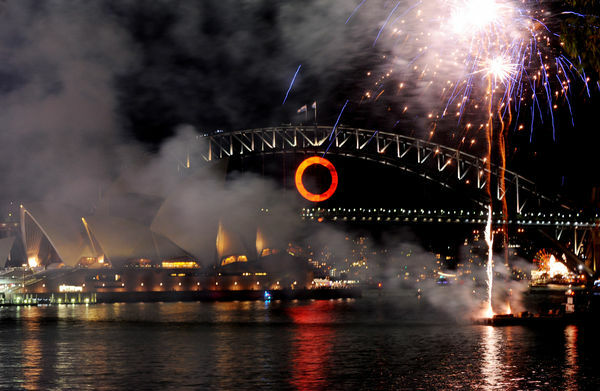 The harbour bridge has a huge O on it, There are fireworks in the harbour and hundreds of people 'on top' of the bridge. It's oprah and boy has she had a great weekend. The weather was perfect and for Sydney I hope this will be a huge boost for tourism. We are a great city, and country but when many people confuse us with Austria, we need to work on our act. Tourism Australia has done great things and I applaud them, Now hopefully with the 40 million viewers of Oprah we will have more people coming to visit our lovely town. I've attached a couple of photo's of Oprah's weekend. We are very excited at the prospect of Oprah coming to town. Not only is it great exposure for Australia. The fact we are close to the Opera house will be great for our guests as they will be able to easily access the event. From early reports it's going to be a huge event. 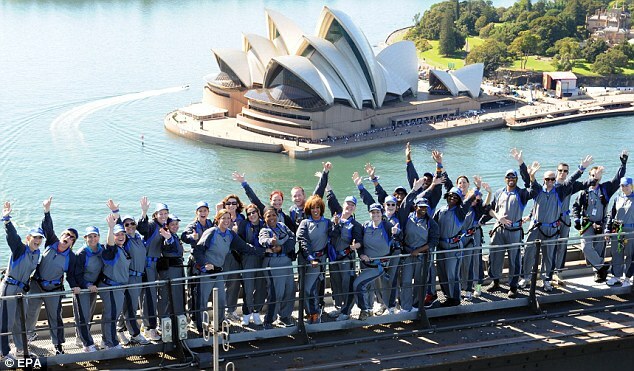 and we are proud that Oprah Winfrey has chosen Australia as her destination for her final year's events. We are a great country and those who have come down to see us know this. Now it's time to show our great country to the 7.4 Million Oprah viewers daily. Sent to me by a kind guest (thanks Brian), we have just been reviewed by the Sunday Times in the UK. which is one of the largest circulation newspapers in the UK, and apart from mentioning that we are in Mosman (next suburb) it's quite complimentary, and I'm really pleased to have any press, especially from such a well known Newspaper.